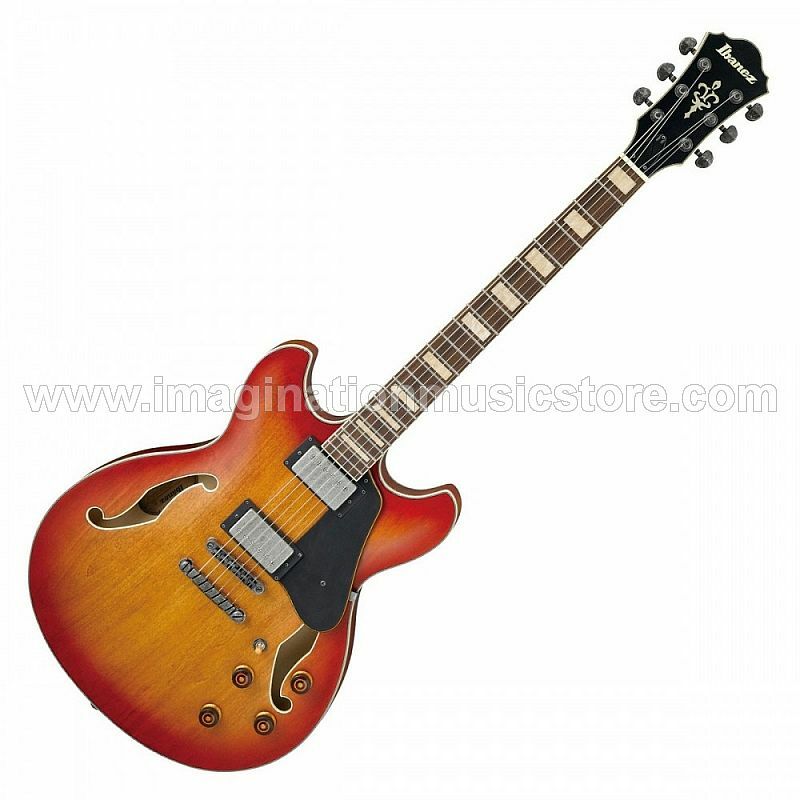 Ibanez’s Artcore series hearkens back to the company’s roots in the ‘70s, when it mostly produced traditional semi-hollow instruments. For 2019, Ibanez has released a number of Artcore models that have a slightly more modern twist, but the ASV73 isn’t one of them. Keeping things old-school with its stylish aged finished body, vintage-coloured fingerboard inlays and antique chrome hardware, this stunning semi-hollow is still versatile enough to suit multiple genres – from jazz to rock. Featuring Linden back and sides, the ASV73’s top is also made from this material. Belonging to the Basswood family, Linden is light and projects a balanced tone with lots of mid-range bite. In conjunction with its semi-hollow design, this instrument has a lively character, giving chords a beautifully open sound. The ASV73’s body is paired with a set Nyatoh neck, a warm-sounding wood that injects some rich low-end. Adorned with a bound Laurel fingerboard, this classy-looking material feels smooth under the fingers, with medium-sized frets ensuring excellent playability for both modern and traditional players alike. The ASV73 is fitted with a pair of Ibanez’s Classic Elite humbuckers, producing rich, nuanced sounds that lend themselves well to both clean and overdriven tones. Responsive to your playing dynamics, these pickups will let you articulate lead lines or chords with plenty of expression. Ibanez has also made sure that its hardware is of a similar quality, with its ART-1 bridge and Quik Change III tailpiece keeping things stable. Easily adjustable, you can make effortless string changes and setup tweaks whenever necessary.